A quaint cottage near Ballyshannon in County Donegal which sleeps seven people in four bedrooms. 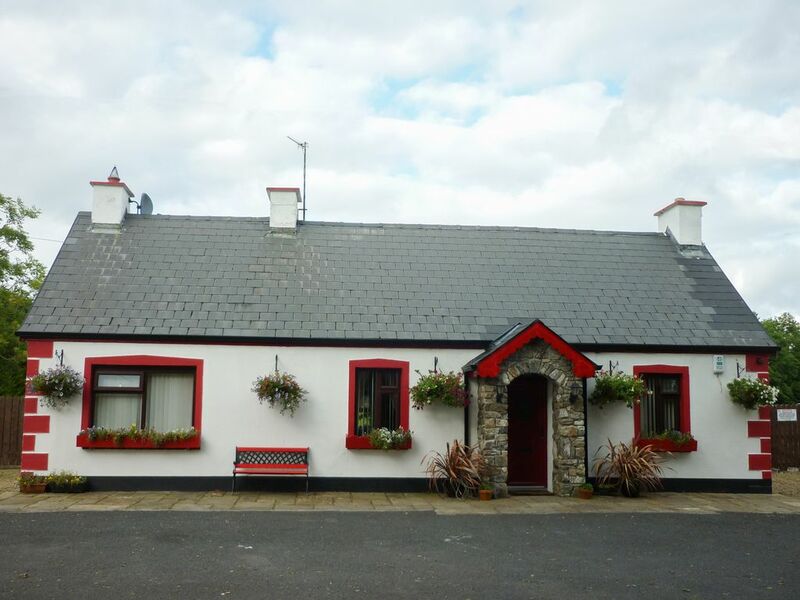 Cookies Cottage is a quaint cottage near Ballyshannon in County Donegal. The cottage can sleep seven people in four bedrooms which are made up of a ground floor double, a double, a twin and a ground floor single as well as a separate bathroom and a ground floor bathroom. The rest of the cottage is made up of an open plan living area with kitchen, dining area and sitting area with woodburning stove and a sitting room with open fire. To the outside is ample off road parking and a large enclosed lawned garden and gravel area to rear of property. Set in a stunning location, Cookies Cottage is a great place to enjoy at any time of the year. Amenities: .Oil fired central heating with woodburning stove and open fire. Electric oven and hob, microwave, fridge/freezer, washing machine, tumble dryer, TV with Saorview. DVD. Power charged via digital meter(initial 20 included in rent). Fuel supplement of 20 per week charged. Bed llinen and towels inc. in rent. Fuel starter pack included in rent. Ample off road parking. Large enclosed lawn garden and gravel area to rear of property. Two pets welcome. Sorry, no smoking. Shop, pub and restaurant 8 mins walk . Note: Low hanging doors and some steps throughout the property so care should be taken. Town: Ballyshannon is located at the mouth of the River Erne and home to a range of shops, restaurants and pubs. It looks out over the Erne Estuary and has panoramic views of mountains, lakes and forests. Each year, the town holds the Ballyshannon Folk & Traditional Music Festival, one of Ireland's longest running festivals, attracting people from all over. Next to the town is Assaroe Lake, where you can try your hand at fishing or if youre feeling a bit more adventurous, some watersports! .Oil fired central heating with woodburning stove and open fire. Electric oven and hob, microwave, fridge/freezer, washing machine, tumble dryer, TV with Saorview. DVD. Power charged via digital meter(initial ?20 included in rent). Fuel supplement of ?20 per week charged. Bed llinen and towels inc. in rent. Fuel starter pack included in rent. Ample off road parking. Large enclosed lawn garden and gravel area to rear of property. Two pets welcome. Sorry, no smoking. Shop, pub and restaurant 8 mins walk . Note: Low hanging doors and some steps throughout the property so care should be taken.